Day 2 at the EuroHockey Indoor Club Champions Challenge I in Varna and Slagelse, Mladost and Senkvice are still in the running for promotion. 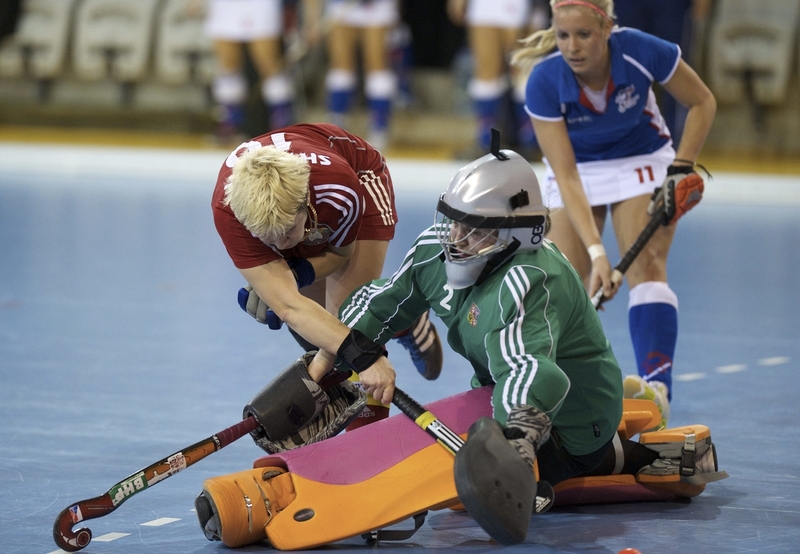 Slagelse HC and SK Senkvice are the leaders in their pool A after the morning games on the second day of the EuroHockey Indoor Club Champions Challenge II, Kamchia-Varna. Slagelse HC won 15 points and SK Senkvice are with 10. Queen’s University Belfast HC and HC Kilppari are with two points at the bottom of the ranking. In pool B the leader is HC BRA from Italy. They have 11 points and the battle for the place in the semi-finals in their group will be very fierce. It has 4-3 against Cardiff& Met, 2-3 with HAHK Mladost and 6-2 against the team of National Sports Academy Sofia. The team is at the bottom of the ranking with only one point. The possibility for staying in this division is very small, but still it depends of their last game this afternoon against Kilppari and tomorrow against Queen’s University Belfast HC. Things went different in Kamchia after the afternoon session on the second day of the championship. First surprise brought HC NSA with their rebirth. They won against their opponent from last year the team of Kilppari with 2-11 and with that result they climbed to the second place in the ranking in poll D right behind the leader Cardiff & Met which won against Queen’s University Belfast HC. Both with two points are HC Kilppari and Queen’s University Belfast HC. On the top in the ranking in pool C are Slagelce with 10 points followed by HAHK Mladost with 6 points. At the bottom are Bra with 2 points after their lost from the team of Slagelse.